Brush Wizard: The Golden Kobold - The World's First Chibi Miniature Painting Competition! 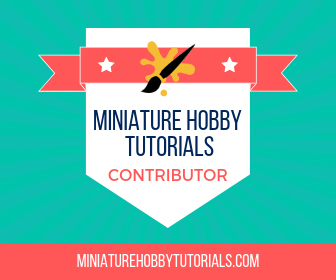 The Golden Kobold is a painting competition for chibi style figures, meant to promote the hobby of painting miniatures and the chibi style in general. This competition is going to be open to ALL BRANDS of chibi figure, not just the ones produced by Ninja Division. This is all about the chibi style as a whole, not about who makes "the best" chibi figures. We chibi painters are a small subset of an already niche hobby. As such we as a community should band together to promote the chibi style we love and not worry about brand names/ product lines. That's what the Golden Kobold is all about. There will be 5 categories to enter into, these are Single Figure - Small, Single Figure - Large, Diorama, Open and Juniors. Each category will be eligible for Gold, Silver and Bronze Kobold trophies and there will be a Best of Show winner selected. Single Figure - Small: Entry must be a single figure, where all elements are based no larger than 40mm diameter, and up to 6″ tall including any decorative basing or plinth display. Single Figure - Large: Entry must be a single figure, where all elements are based no larger than 80mm diameter, and up to 10″ tall including any decorative basing or plinth display. Open: *UPDATE* Challenge the Golden Kobold judges! We judges will be entering models into this category and you can test your mettle against us! Entry may be any warband, squad, vehicle, bust, large model or other group. If comprised of multiple models, they must be mounted to a display base and not as single figures. The base dimensions may not exceed a dimension of 8″ x 6″ x 10″ for all elements, models, basing decor, or other mounting. Liz, Drew, Mark and myself will NOT be judging this category. Juniors: Must be 13 or younger to enter. Entry may be a single figure, monstern squad, or diorama. Where all elements are based and no larger than 6” diameter, and up to 6″ tall including any decorative basing or display. You can find the full rules over at Ninja Division's website. Get those Super Dungeon Explore, Ninja All-Stars, Arcadia Quest and Impact Minitures chibis painted and I'll see you at GenCon 2017!